One way to tell these two reptiles apart is by the shapes of their snouts. It’s a pretty safe bet that we’ve all heard this ditty a thousand times. But did you know that, despite some remarkable similarities, these animals are not the same? So what makes an alligator an alligator and a crocodile a crocodile? Let’s take a look. 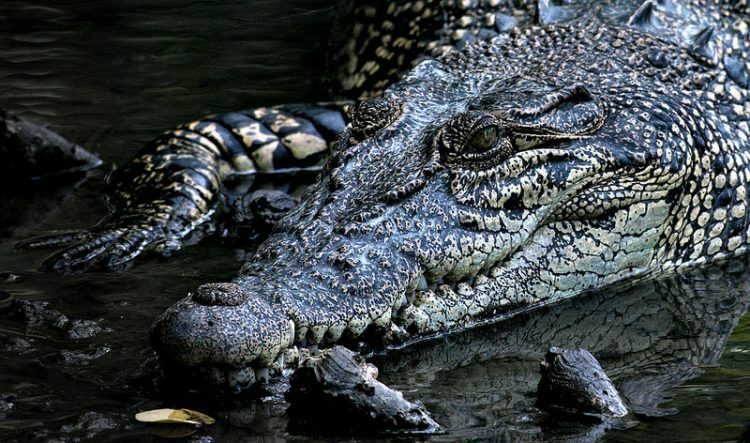 Unsurprisingly, alligators and crocodiles hail from the same family tree. Both are reptiles from the Crocodilia order that appeared about 83 million years ago and are actually the most closely related order to birds. These hardy reptiles managed to survive the events that caused the mass extinction of dinosaurs. But members of the Crocodilia order were not unaffected — this is when they began to diversify, leading to the crocodiles, alligators and other members of this order that we see today. The two species of alligators, the American and the Chinese, tend to be slightly smaller than crocodiles when comparing size and weight. By contrast, the saltwater crocodile is pretty enormous, weighing in at 2,600 pounds and getting to an average length of 21 feet. While it’s unlikely that you’d stop to notice this difference should you come face-to-face with either in the wild, one thing you may notice before beating the hastiest retreat of your life is the animal’s teeth. Because of the shape of the crocodile’s snout, you can see his teeth even when his mouth is closed. Alligators have a wider upper jaw that helps hide their teeth when their mouths are closed. But you can be certain they both have powerful jaws. Alligators and crocodiles are opportunistic hunters – they’ll eat whatever they can catch, from eggs to deer to dogs, and even people. But we are not something that these reptiles specifically hunt for. When people wander into their territory by mistake or provoke them, that’s when it can turn nasty. Like any wild animal, alligators and crocodiles should be respected and given distance. The reason for this is simple: Crocodiles have salt glands on their tongue that allow them to excrete large amounts of salt, enabling them to thrive in salty environments. Somewhere along the way during evolution, alligators lost these glands and so prefer to spend their time in fresh water. This likely plays a role in why crocodiles are found in many more parts of the world. Alligators are most often sighted in the southern states of Louisiana and Florida in the United States, and parts of China. Crocodiles populate America, Asia, Africa – and, of course, Australia. Being cold-blooded, both alligators and crocodiles prefer warmer climes, so if you’re in an area that gets extremely cold, you’re not likely to encounter either of these reptiles. Another difference of note between alligators and crocodiles is their coloring. “Adult American crocodiles are lighter in color than alligators, typically olive-gray, gray-brown or tannish-gray,” says Chris Scott in Endangered and Threatened Animals of Florida and Their Habitats. Adult alligators – although often depicted as green – are actually black. Crocodile young and alligator young are markedly different in coloring. 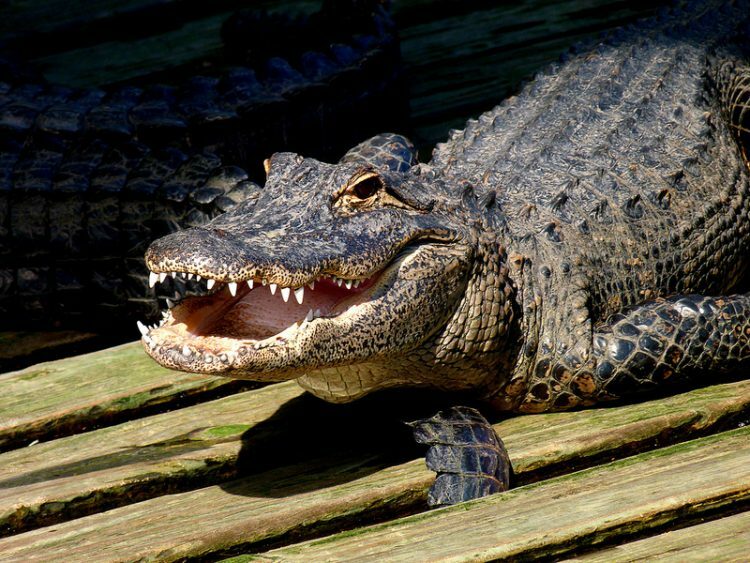 According to the Florida Fish and Wildlife Conservation Commission, the young crocodile is light with dark stripes, and the alligator is dark with yellow stripes. If you happen upon a nest, though, I recommend vacating the area immediately rather than cooing over coloring — Mama is likely nearby. Alligators and crocodiles are fascinating, timeless creatures. Their ancestors walked the earth way before we did — and even before the ancient Komodo dragon did. Supremely adaptable and enduring creatures, they may just be our best glimpse into the Jurassic Age.